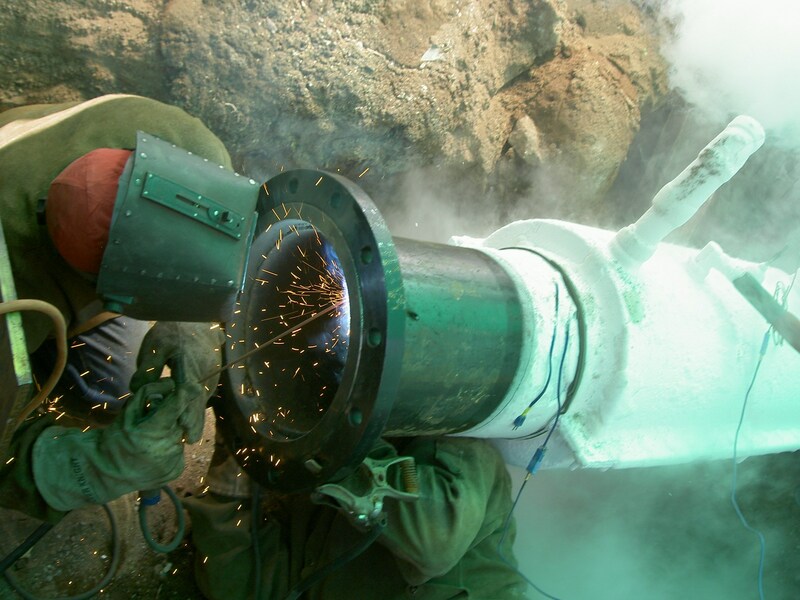 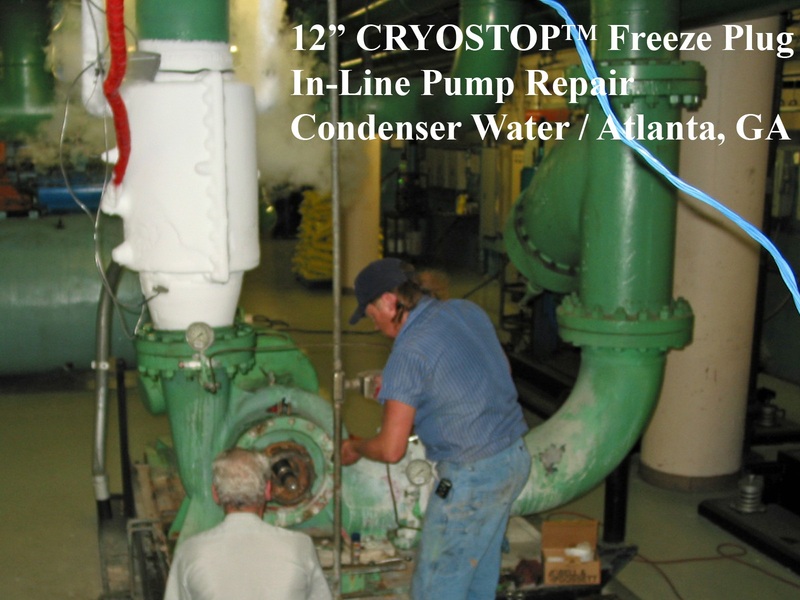 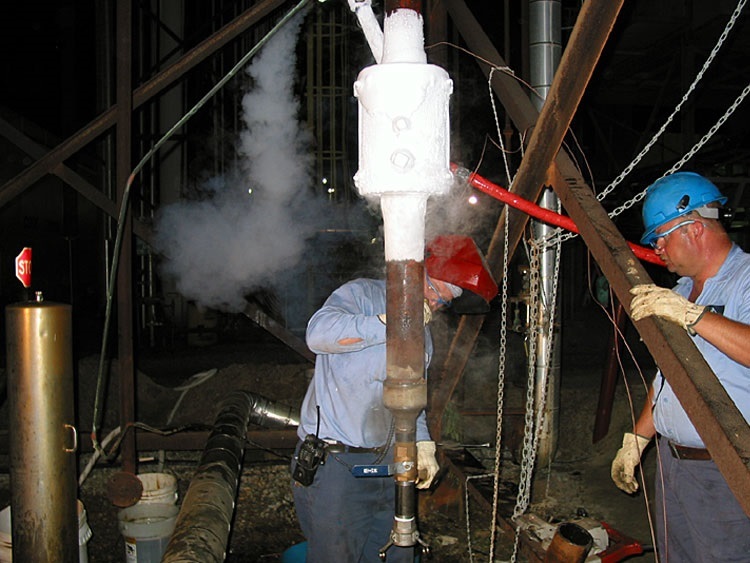 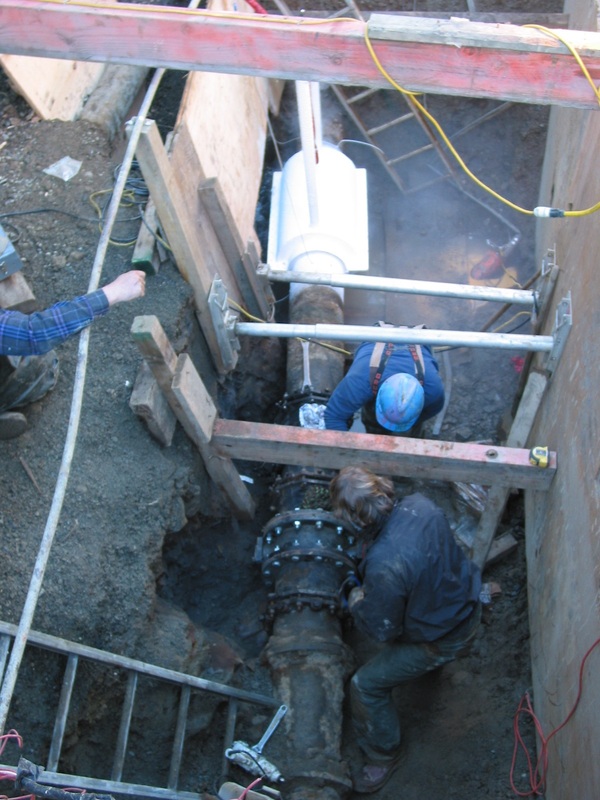 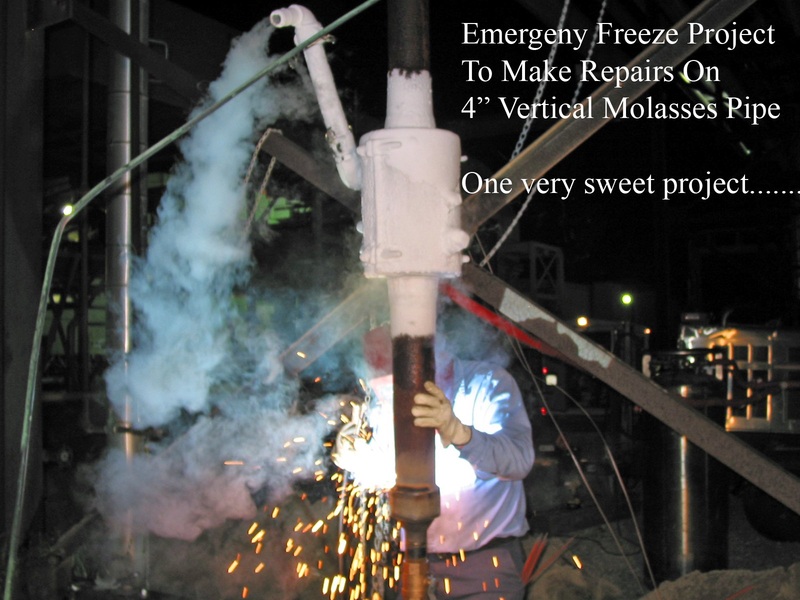 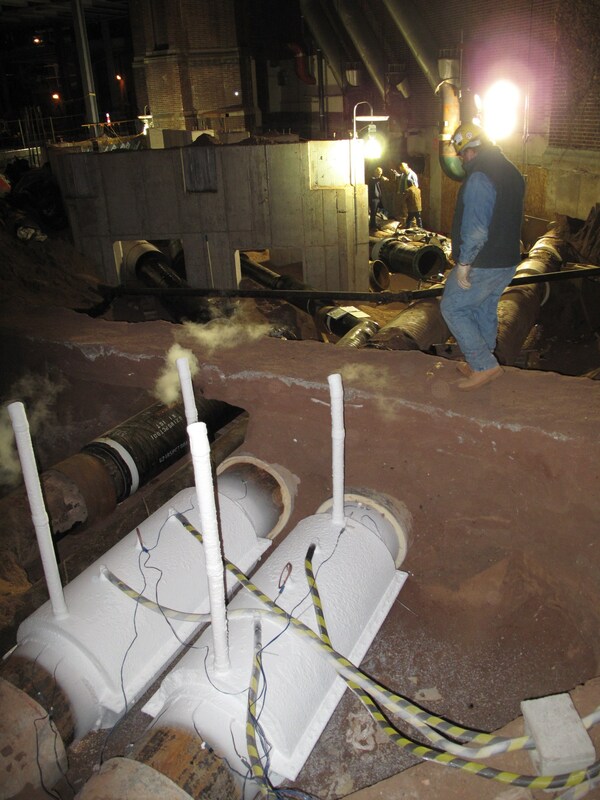 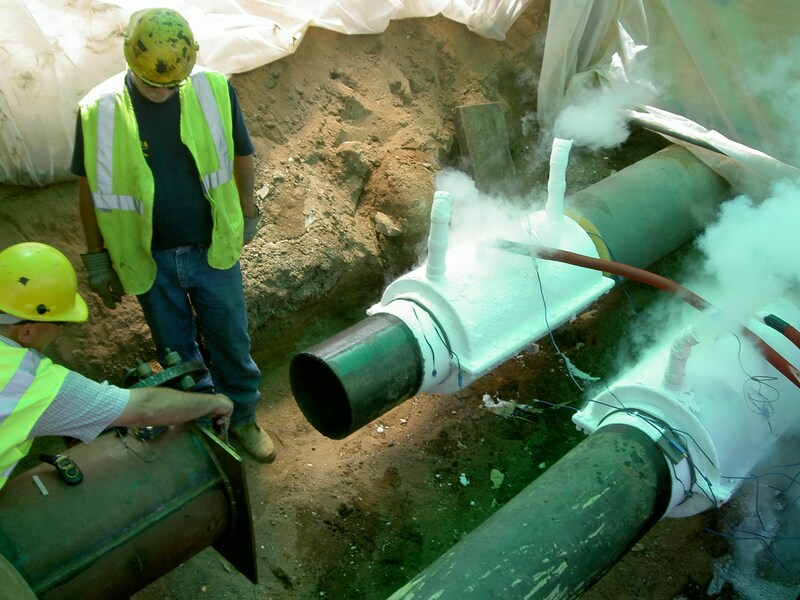 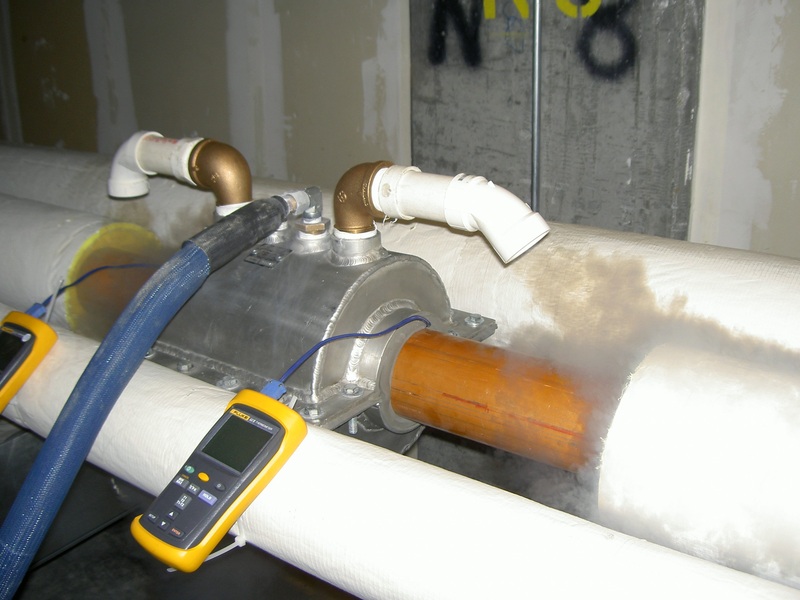 Pipe freezing allows your system modification projects to be completed with little to no downtime and without fluid discharging, fluid recharging, fluid loss or possible environmental spills of toxic, expensive and critical process fluids. 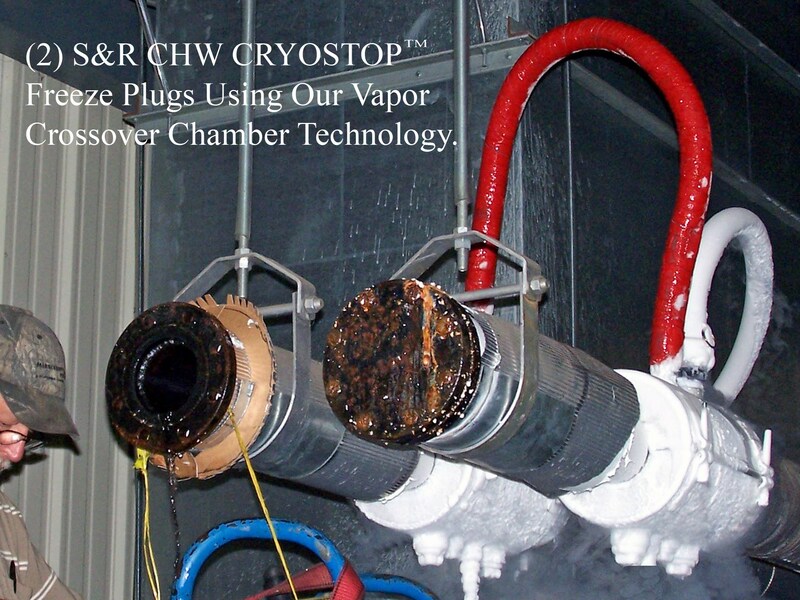 Our cryo-isolation freeze plug line stops can be maintained for a period ranging from hours, days and weeks. 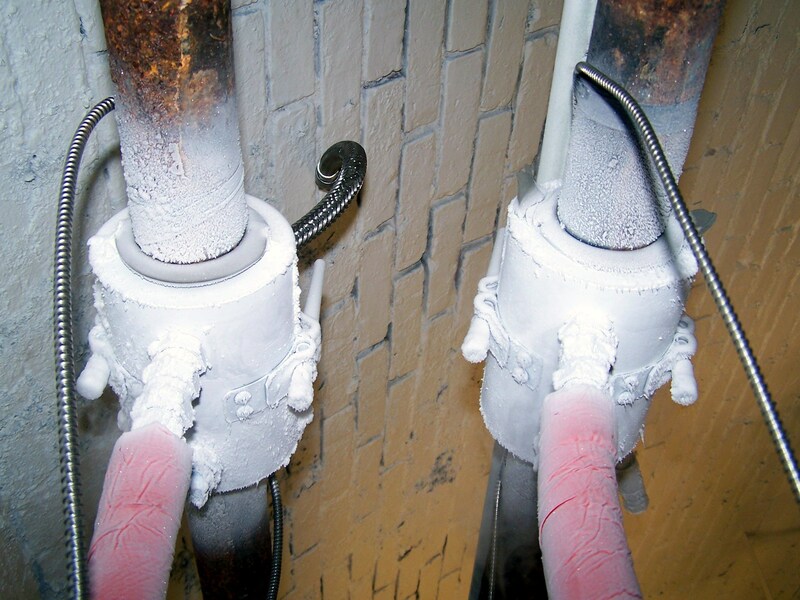 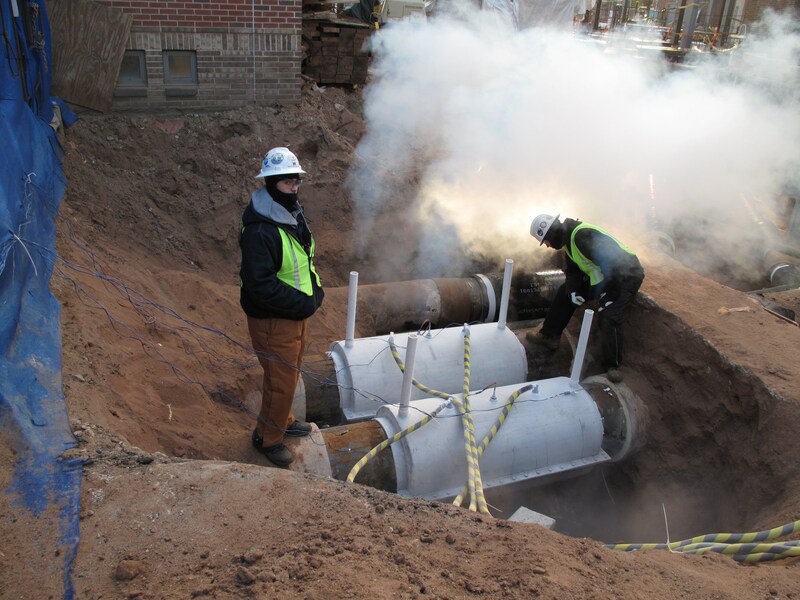 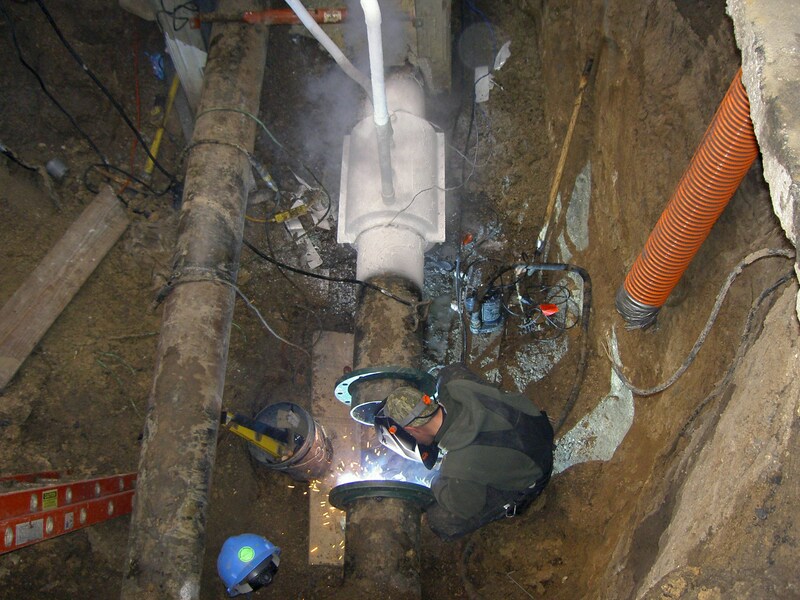 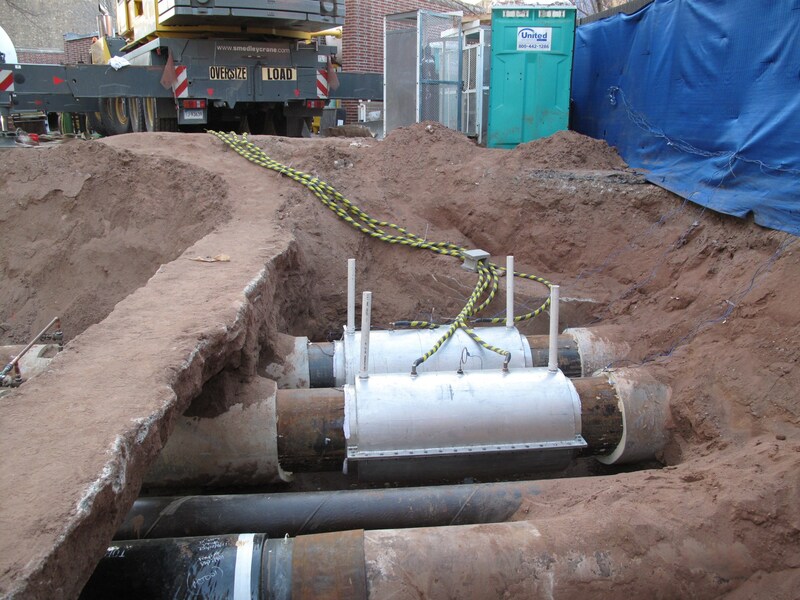 Our service capabilities allow us to successfully establish single and multiple freeze plug stops independently or simultaneously within most piping systems. 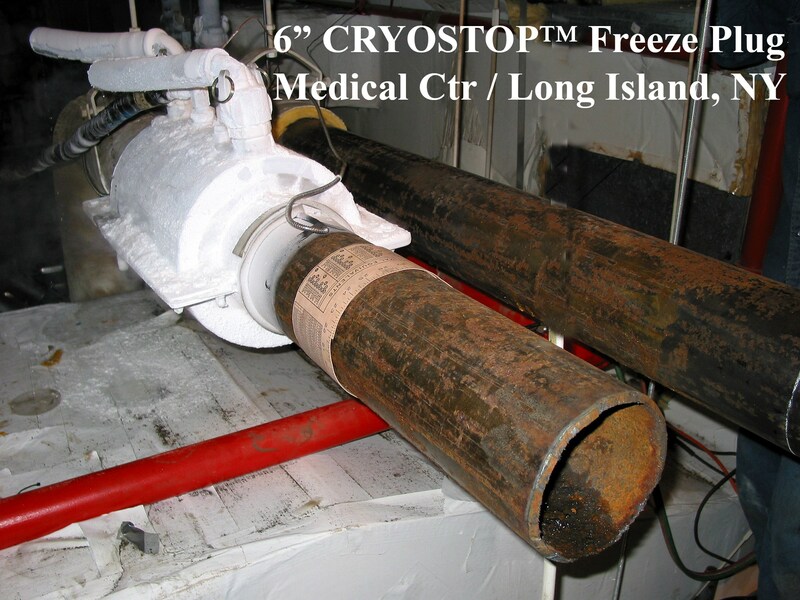 Our service department inventories a standard availability of CRYOSTOP chambers and associated equipment to readily perform freeze plug line stops on pipe diameters ranging from 1/2” to 48”. 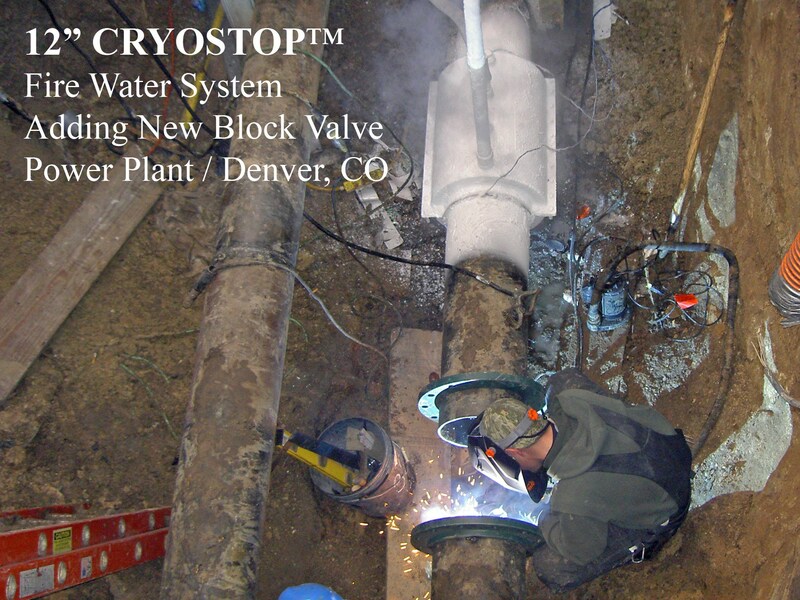 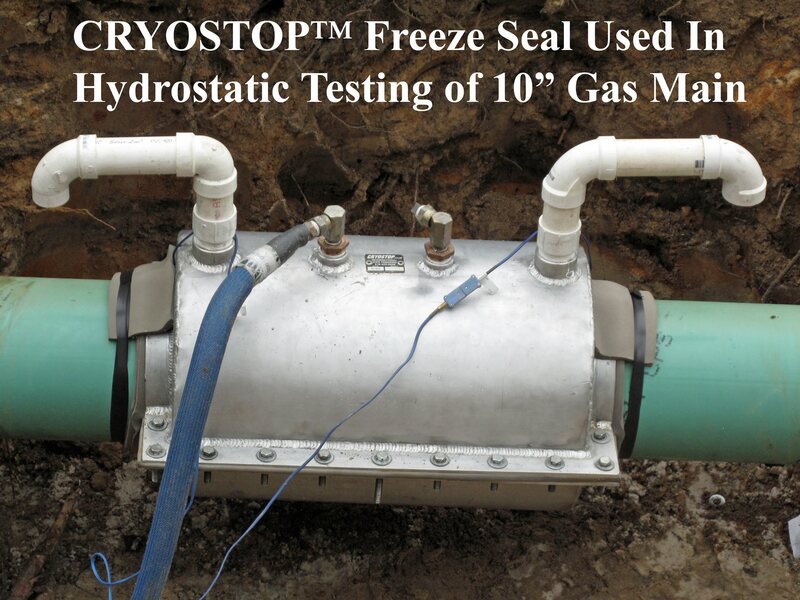 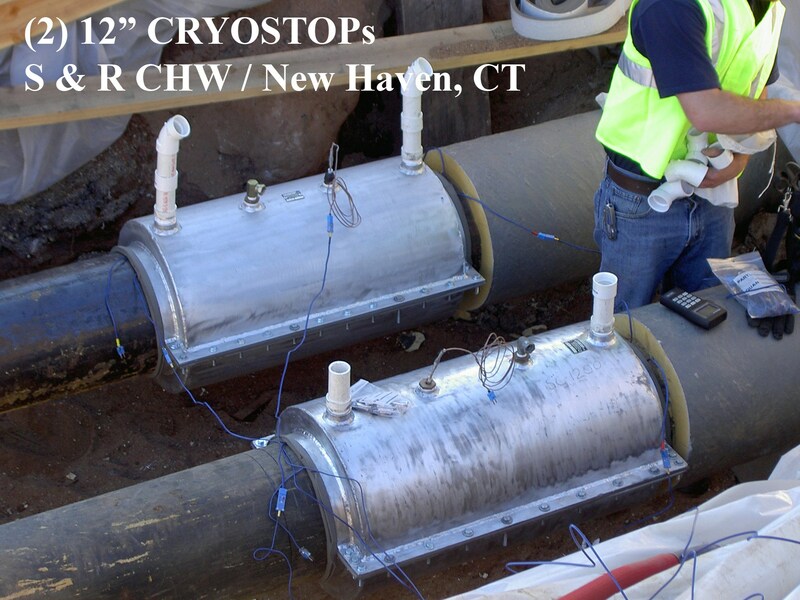 Each cryo-plug line stop project is closely monitored with our CRYOSTOP computer data logging & thermocouple recording software during the entire process. 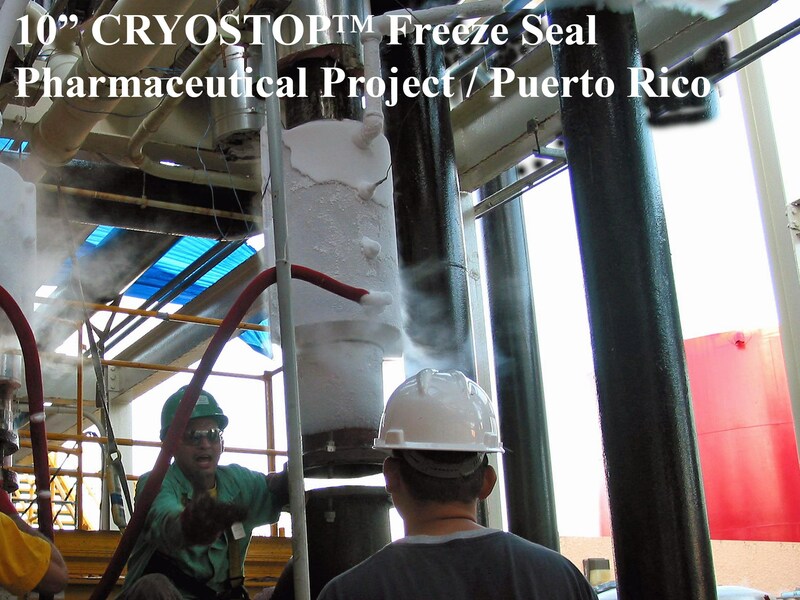 CRYOSTOP International travels extensively to remote job sites and our service is available 24 hours 365 days a year. 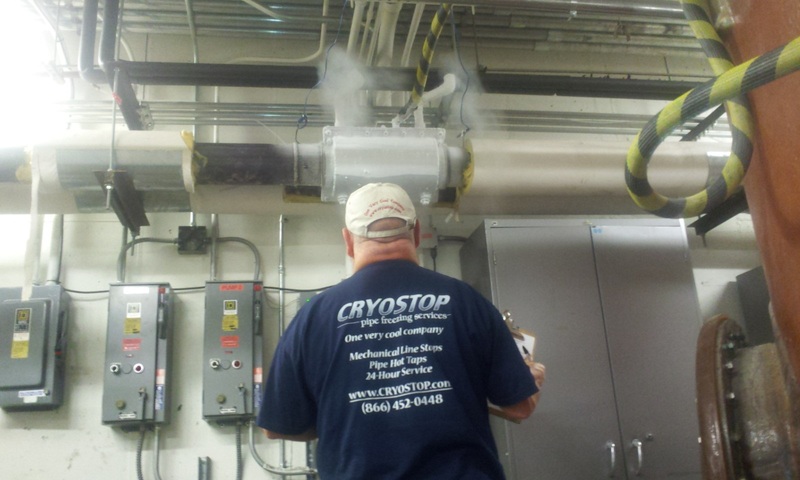 Our service crews are on standby for travel throughout the world. 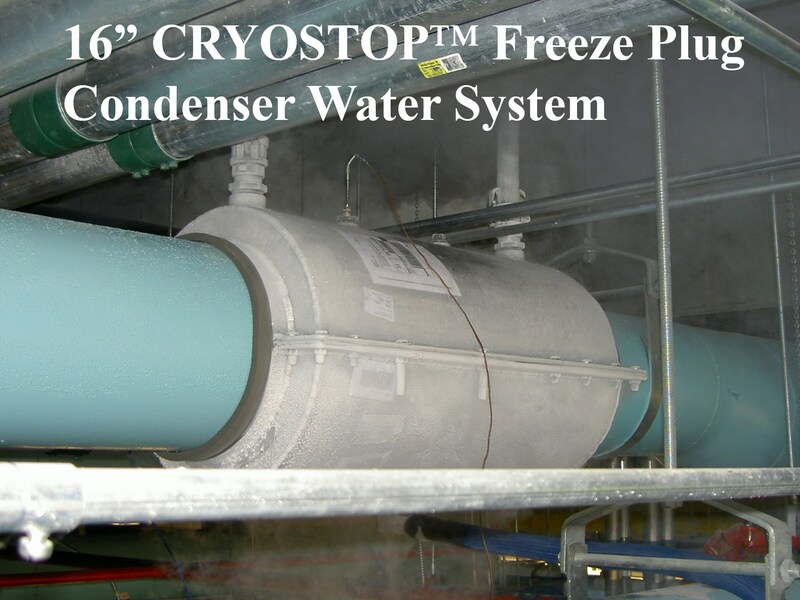 Please call our corporate office (866) 452-5556 for the location nearest to you.